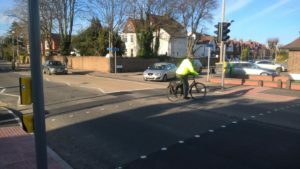 An overdue shared cycle/ pedestrian “Toucan” crossing has recently been completed on the A60 Loughborough Road at the intersection of Chaworth Rd and Northwold Avenue. 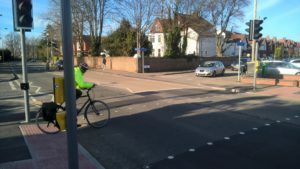 It makes it safer and quicker to both walk and cycle between Compton Acres and the centre of West Bridgford. 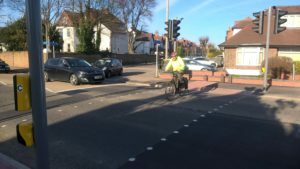 The crossing was meant to have opened at the same time as the new Rushcliffe Arena in January but this commitment appeared to have slipped until Pedals, the local Cycling pressure group, raised the issue with Rushcliffe Borough Council. Hugh McClintock of Pedals said “This new crossing really helps West Bridgford residents get to the Arena and West Park more safely. 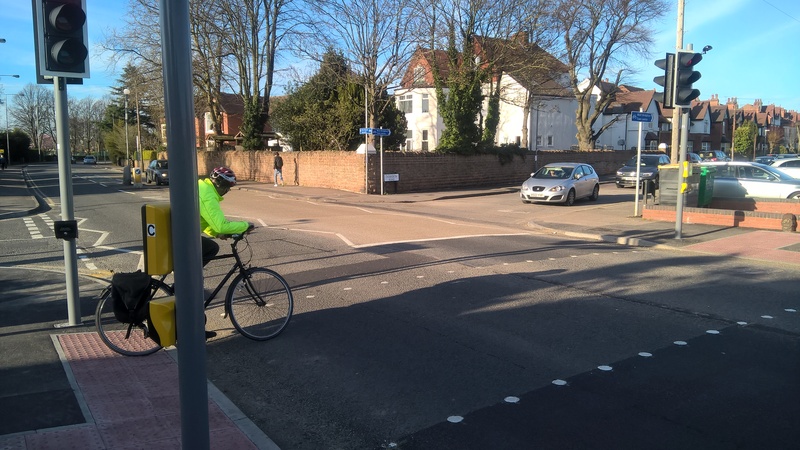 Crossing Loughborough Road at this point was previously a real problem for pedestrians, and cyclists can now benefit too”. We are very grateful for support from two local Councillors – Rod Jones and Gordon Wheeler – in chasing this.